On site ServicesVisit us on Facebook! We sell new and used Laptops at the most competitive prices on the market! They are off lease from major companies and are gently used or from major manufactures that simply couldnt sell them. Our Inventory is constantly changing! Don't see exactly what you need? Send us over a email or give us a call, we probably can find it for you at reasonable & affordable rates! -Need someone to quickly log on to your PC and fix most issues all with in a quick phone call? Then this Plan might be for you! -Same as the Tier 2 Plan but also includes on site visits. Pay per month per machine for unbelievable savings! Computer Repair in Webster MA. We specialize in Laptop and Desktop Sales and Service. Here at MvP Technology you can find the solutions you need to keep your computer running smoothly for a long time to come. Our technicians will diagnose your laptop or desktop quickly and accurately. Most repairs are done same day / next day so you spend less time without your computer! We always have a great supply of desktops, laptops, and peripherals. Don't see what you are looking for? Ask, we are always willing to work with our customer's to meet their specific needs. Whether you are looking for new or used, we have you covered! Is your computer behaving strangely? Sudden crashes, spikes in performance, or other oddities? There’s a good chance that spyware or viruses are the problem. Are you unable to install or run your anti-virus software? Are applications that used to work, not working? Do strange error messages pop up? Messages telling you to purchase some unknown brand of anti-virus software? Malware is software that is intentionally created to harm your computer. 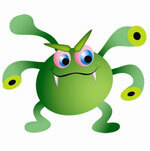 Viruses, spyware, and adware are different forms of malware and are a threat to your computer. Some viruses can completely destroy valuable documents and files and even completely crash your computer! Spyware programs steal your information and reduce your computers performance. Adware annoys you with popups, hijacks your web browser, and redirects you to other websites while you are browsing the internet. Did you drop your laptop? Did the top get closed over a USB mouse? Did your little brother borrow your laptop and return it with a shattered screen? No matter how it happened, we can replace it. 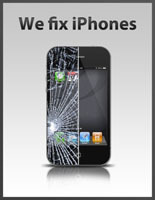 We have the lowest prices in the area for screen replacement. Secure and safe destruction of e-waste – We properly dismantle and recycle all materials.